We all know that sharks are incredible hunters. Swimmers, scuba divers, spear fishermen and snorkelers have been using various shark repellents for decades. 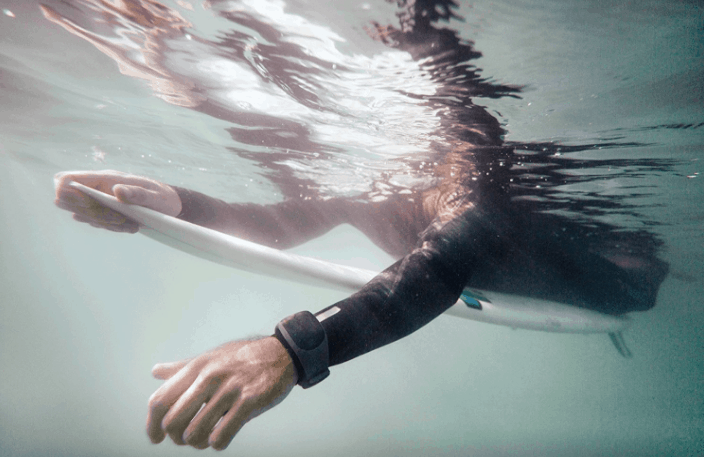 In this review, we look at why and how magnetic shark repellent bracelets such as Sharkbanz work, and their effectiveness against different sharks and other sea creatures. If you already know the Sharkbanz is for you click the button to see the current price and any discounts that may apply on Amazon. Click on the link below to find the answer to your most pressing question, or continue scrolling to read the entire review. Do magnetic shark repellent bands really work? Sharkbanz versus Sharkbanz 2 - What's the difference? Should you buy just one or multiples? Ready to Buy a Sharkbanz or two? The theory of magnets functioning as shark repellents has been extensively studied, researched and tested since it was first discovered. Sharks are such efficient hunters because they're able to detect very weak signals (such as the heartbeats or muscle movements) given out by their prey. This natural ability also helps them to hunt and navigate at night, or when they're in murky water. Shark repellents such as Sharkbanz have been developed to send out strong magnetic fields. Electro-magnetism overwhelms the electro-receptors that sharks use to hunt. This confuses the shark and effectively blinds it, vastly reducing the chances of an attack. 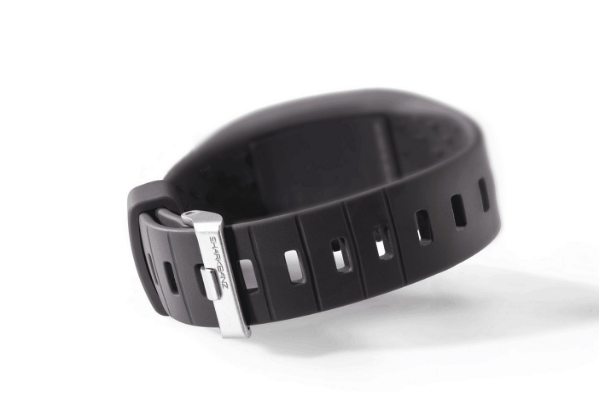 As a shark approaches the shark repellent band bracelet, it detects these signals. These signals are far greater than anything a shark will have encountered before, and a lot stronger than anything produced in their natural food chain. The field produced is about 3 to 6 feet (or 1 to 1.8 meters). It's an unpleasant sensation for the shark that becomes intense at around 3 feet, and then exponentially greater with each inch the closer it gets. The makers of Sharkbanz say it's similar to us standing in a dark room and having a bright light suddenly shone in our eyes - it doesn't hurt, but you will want to turn away. 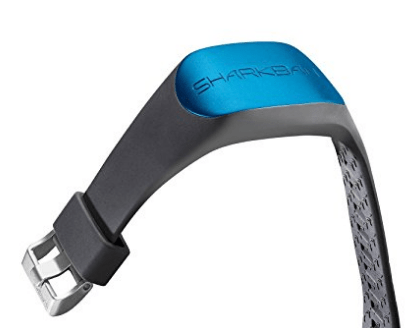 The first version of the Sharkbanz bracelet was released on January 1, 2015. 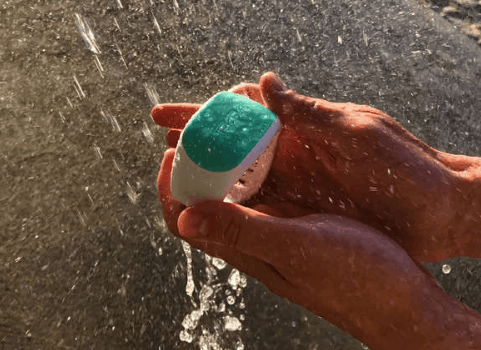 Since then, the makers of Sharkbanz have continued to study, evolve and test this technology in collaboration with the founders and leaders of shark repelling science and technology. Sharkbanz 2 has now been released and is more powerful with a higher magnetic strength than the original version. This also has a lower profile and a more comfortable silicone band. The clasp has been improved upon, and is a matte coated stainless steel buckle. Sharkbanz 2 has a sealed magnetic chassis giving it better durability and ensuring zero rust. A big plus is the price difference! Sharkbanz 2 is retailing for much cheaper than its predecessor. The Sharkbanz bracelet can be worn on either your ankle or wrist. The majority of shark bites occur on the ankle and leg areas so if you're only buying one, it's recommended it be worn on the ankle. Just like many other safety devices, the greater the coverage, the greater the protection. The electromagnetic field generated by one Sharkbanz will help reduce the risk, but it doesn't act as a full-body force field. If you are in regions of high shark populations (such as Florida, California, Hawaii, North Carolina, Australia and other areas of the Pacific) or spend a lot of time in the ocean, then it's recommended that you wear multiple Sharkbanz - one on your wrist and one on your ankle. Due to their natural aggressive behavior and their tendency to live in waters close to shore, Bull Sharks are considered to be one of the most dangerous sharks to humans. Below is a video showing how effective the Sharkbanz can be in a baited scenario with Bull Sharks. This is an amazing video and really worth watching! Both purchases and wearers of Sharkbanz need to understand that sharks are wild animals and can have unpredictable behavior. Sharks are naturally curious animals. You should never do anything that deliberately provides a stimulus to sharks to make them want to come into contact with humans, regardless of whether you're wearing Sharkbanz, or not. Use common sense whenever you're in the water. Avoid swimming near piers or anywhere where folks are fishing. Always be careful in the water at dawn and dusk, and especially at night. 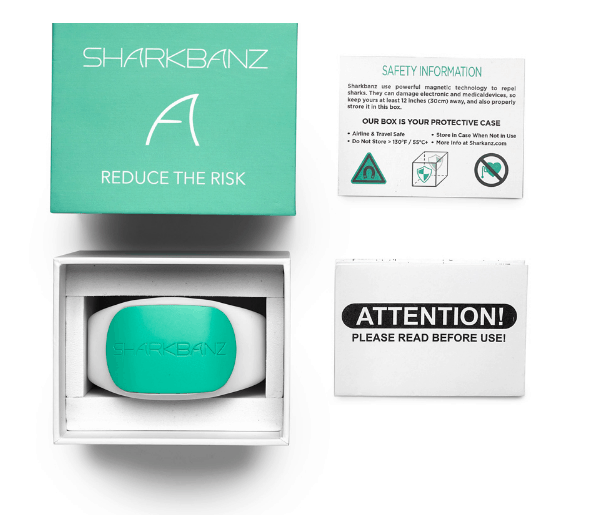 Much like seat belts or bike helmets, Sharkbanz will reduce the risk of harm, but they do not provide total coverage. Sharkbanz is not tested on all types of sharks. Although Sharkbanz can reduce the risk of contact with sharks, it can't guarantee 100% that no contact will occur. The Sharkbanz magnetic technology has been successfully tested on a wide variety of predatory shark species including Bull Sharks, Blacktip, and Great White Sharks. Sharkbanz can reduce the risk of a curious, investigative Great White shark encounter, especially when wearing multiple units to increase the deterrent field range, but there's no glossing over this - Sharkbanz can't completely eliminate the threat of a Great White. Sharkbanz uses magnetic technology to ward off sharks, and this is a magnet, it will never use its charge. It can be worn on the ankle or wrist, and it's recommended you wear on both if possible. 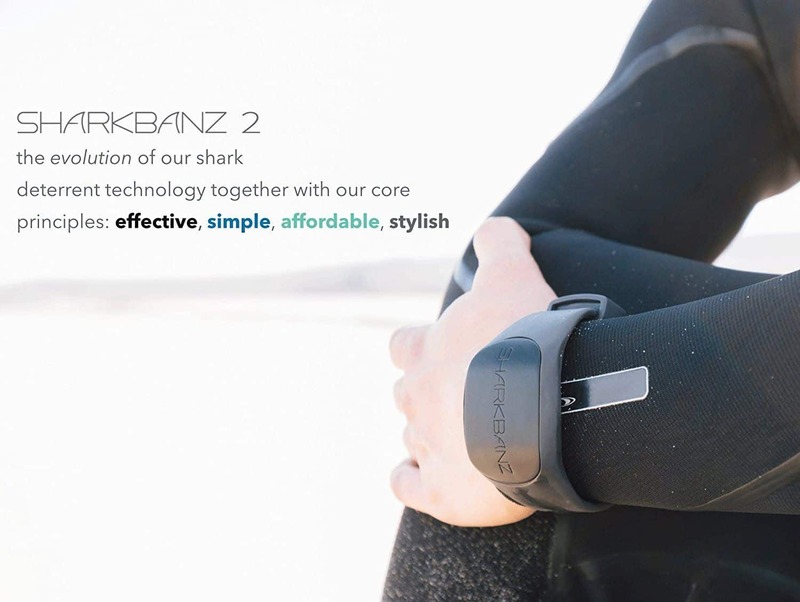 The Sharkbanz costs around $80 USD each. 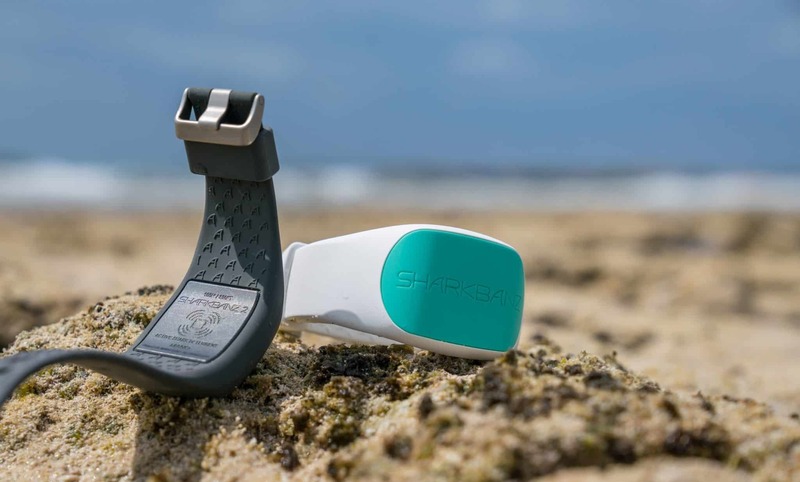 The Shark Shield Freedom7 shark repellent is strapped to the ankle and has an antenna that drags behind the wearer. It has 2 electrodes which emit electrical pulses when turned on and submerged. Freedom7 is powered by an Lithium-ion battery and requires charging. The Freedom7 costs around $600 USD, and has been proven to deter Great Whites. Sharkbanz has been created to provide some protection from many sharks where previously there was none. Sharkbanz technology will also deter stingrays. The technology is not known to harm any other ocean creatures such as fish, dolphins or sea turtles. The price of the Sharkbanz 2 is greatly reduced in comparison to the original version. This makes it more affordable when buying more than one. As these are magnetic, there is no battery and no charging required. Sharkbanz 2 is always ON and ready to go. Sharkbanz is a universal fit and can be adjusted to be worn from Ages 5+ on either an ankle or wrist (or both). These are airline and travel safe. The TSA will not give you any trouble over your Sharkbanz 2. Make sure you always travel with it stored in its Sharkbanz box as this is magnetic shielded. This goes for traveling with it in both checked luggage or in carry-on bags. The makers of Sharkbanz initially looked into making multiple sizes of the Sharkbanz 2. They weighed up the environmental impact of making one with a long strap and throwing the excess in the trash, against the carbon footprint created by transporting multiples sizes with the likelihood of returns due to the incorrect size being selected when purchased. The result is that the Sharkbanz 2 has been designed to fit everyone from age 5+. The band comes long enough to go over a wetsuit and be cut down to the correct size. Full instructions on how to do this correctly are included in the packaging. 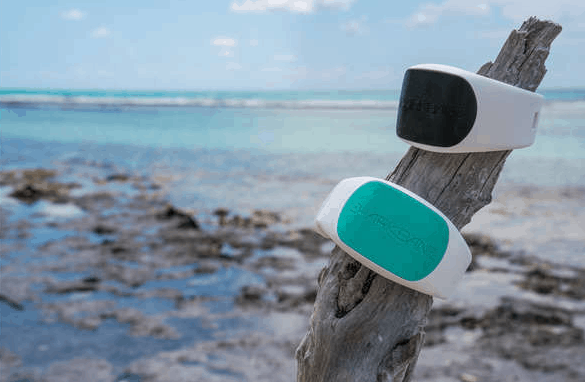 Sharkbanz uses powerful magnetic technology to repel sharks. 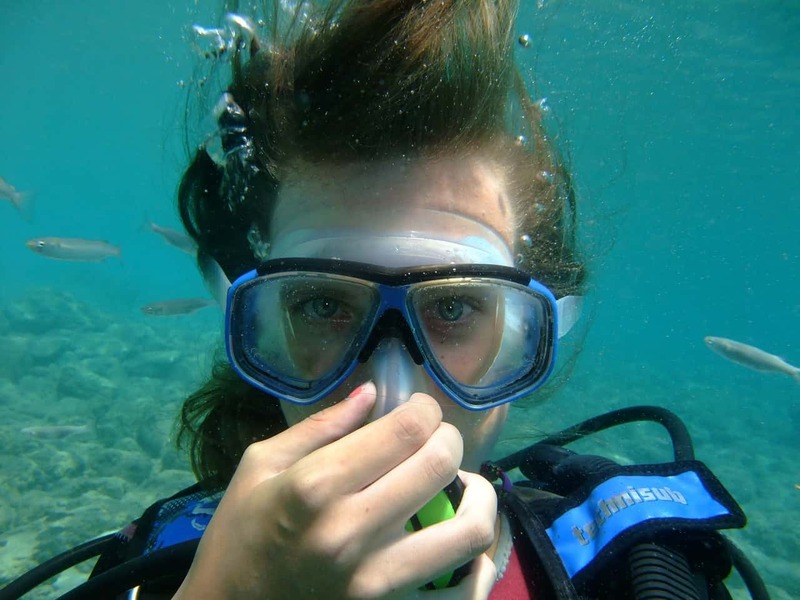 Magnetism can damage electronics and medical devices, as well as some watches and scuba equipment including dive computers. Sharkbanz needs to be kept at least 12 inches (or 30 cm) away from other devices. If you are handling electronic equipment or dive computers, put the Sharkbanz on your ankles to avoid direct contact with the electronics. Make sure Sharkbanz is stored in its box when traveling or when not in use to protect electronics, as the box has magnetic shielding. Salt water and sand will corrode just about anything over time, so always thoroughly wash your Sharkbanz after swimming in salt water. Once dry, always store it in the Sharkbanz box and out of direct sunlight. Don't leave it in the car as temperatures can get too hot when in the sun which will cause damage. Never leave it anywhere where temperatures reach over 130º Fahrenheit (or 55º Celcuis). As it's magnetized, Sharkbanz 2 can pull fine ferrous (iron) particles from the sand which will stick to it. These will not damage the Sharkbanz but should be brushed off as soon as you notice them. Nate Taylor is an avid motorbike rider and has enjoyed riding since his early teens. 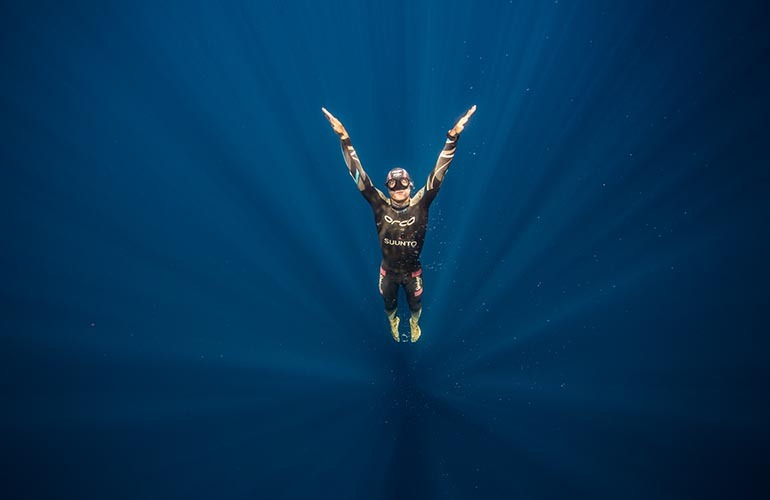 He enjoys hiking and is also a qualified Scuba Diver (Advanced Open Waters). In the sun for long periods. I noticed your comment on leaving these devices in the sun for long periods. My husband left both of ours on the back shelf of the van in the Florida sun before I found them. A little discolored, but still working OK. He is now rationed to half beer input for a month.